We are proud to be the longest running theatre in Central Florida, with a season every year since 1932! 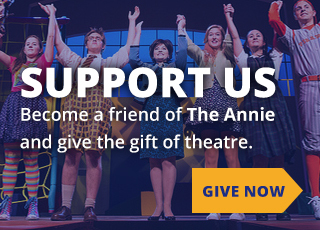 The Annie was built in 1931 and has never had a dark season, making her the longest-running theater in Central Florida. We are proud of our rich history as a theatre and an educational home to developing artists. The darling of both British and American stages, by the age of 19 Annie Russell was already frustrated by playing roles known as "Annie Russell parts." Even in 1883, celebrity often led to frustration, especially when one's talents stretched beyond the imagination of one's producers. Annie Russell may have been the "perfect ingénue," but she had plenty more to offer to the world. After 900 performances in the title role of William Gillette and F. H. Burnett's immensely successful Esmeralda, Annie stepped off the New York stage to recover her health and her calling. Her return to the stage in 1894 heralded a period of great creative success in her life, starring in a number of new plays including Shaw's Major Barbara. From 1912 until her retirement in 1918, Russell organized the Olde English Comedy Company in which she directed and acted memorably the works of Shakespeare, Goldsmith, Sheridan, and others. Russell's retirement in Winter Park was not to be a quiet one. The urging of her good friend Mary Curtis Bok Zimbalist convinced her to become involved in the nascent dramatic arts program at Rollins College. 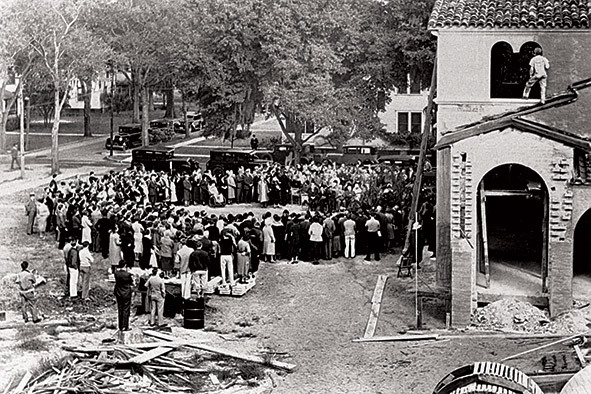 The collaboration of these two powerful friends became the spiritual foundation of the current program and the literal foundation of one of the most beautiful architectural structures in Central Florida, the Annie Russell Theatre. Built in 1931 with funding from Mrs. Zimbalist, the "Annie" serves as the heart of the oldest theatre program in Florida. In 1998, the National Parks Service named the theater to the National Register of Historic Places in recognition of its architecture and its role in education and the performing arts. Annie Russell died in 1936. However, the Annie Russell Theatre continues to serve the vision and aspiration shared by Annie Russell and her friend Mary Curtis Bok Zimbalist: collaboration, creativity, education, and discipline. View Annie seasons from our founding year through 2018.